Leeds United have made one of the most audacious appointments in Championship history by recruiting renowned Argentine coach Marcelo Bielsa. Bielsa, once described by Manchester City's Pep Guardiola as "the best manager in the world", is one the most influential football minds of his generation. Tottenham's Mauricio Pochettino is another high-profile coach mentored and influenced by the 62-year-old and his methods. Pochettino has described himself as a Bielsa "disciple''. Leeds announced yesterday that he had signed a two-year deal at Elland Road, with an option for another season. It is quite a coup for a second-tier club to lure a manager who has so often been coveted by Premier League clubs. 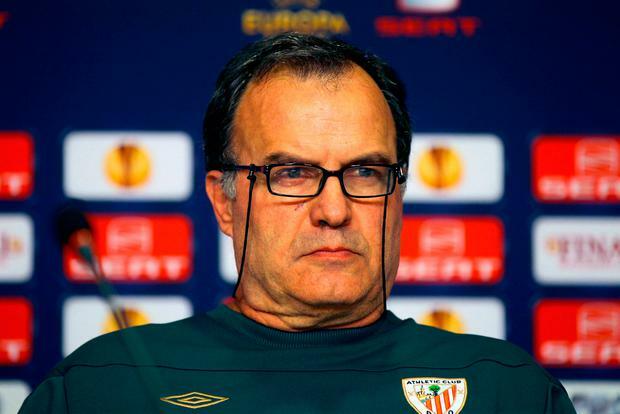 "It has always been my ambition to work in England and I have had several opportunities to do so during my career," said Bielsa. "However, I have always felt it was important to wait for the right project to come along and so when a club with Leeds United's history made me an offer, it was impossible to turn down." Bielsa's CV includes spells in charge of the Argentina and Chile national teams, Espanyol, Athletic Bilbao, Marseille and, most recently, Lille.